Founded in 2010, Webcomm is a 100% Australian owned website development agency based in Newcastle, Australia. We are a leading provider of all types of websites, from ecommerce websites, to CMS websites, social integration to custom web app development. We are passionate about the power of the Internet and know how to utilise it to help our clients. We establish ongoing relationships with our customers to ensure their online presence only grows over time. Ben has been developing websites for the past 5 years. Through that time he has built a variety of websites, including ecommerce, CMS, web applications and social network integration. 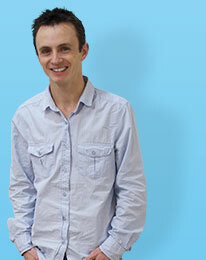 With a keen interest in website development, Ben founded Webcomm in 2010. Since then, he has grown Webcomm into Newcastle's leading web development company specialising in ecommerce website development & web application development. Ben's passion is crucial to driving the company forward through the satisfaction of Webcomm's clients. Long term success for a business requires a good idea and a team of diversely creative quality individuals to execute that idea. Dene enjoys finding unique insights from website traffic & data that helps achieve specific business goals and objectives. He graduated in 2008 with a Bachelors degree in Marketing and has been working in the field of online marketing for the past 4 years. Dene is excited about being involved in the online and e-commerce industry as it is ever growing and evolving. His passion for digital marketing is shown in a relentless focus to increase conversions and gain insights into your customer behaviour. 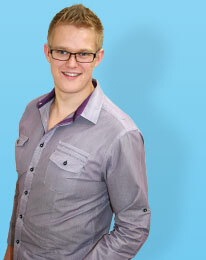 He looks forward to understanding and helping your business reach its objectives. Jenny is in charge of keeping order around the office; she runs a tight ship. She gives direction to the team and ensures they consume their recommended geek intake of caffeine. She is also in charge of customer relations & accounting - she has over 20 years experience in accounting and business management having worked for several companies & firms over the years. 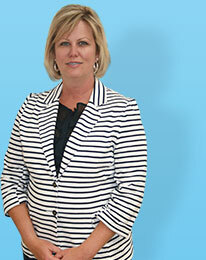 Jenny ensures that the team spends more time doing what they do best. Blatently put, the boys would be lost without her!